Pictured: You can see it was difficult for the to be seen from the highway, fortunately a passer-by witnessed the accident and called 911. 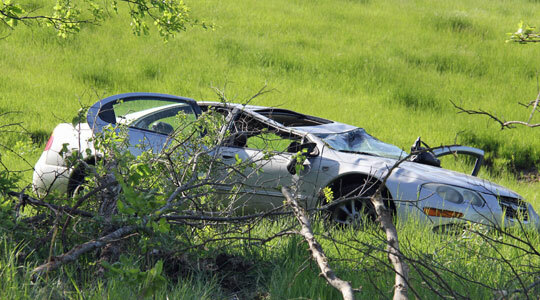 According to the Missouri State Highway Patrol (MSHP), 20-year-old Jamie Willimann of Berger, Mo. 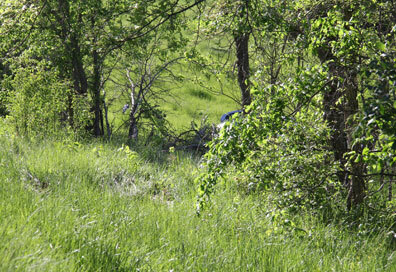 was traveling westbound on Highway 100 when the she veered off the right side of the highway, over corrected then continued traveling down an embankment, causing the vehicle to rollover before coming to a stop. The first incoming unit reported one vehicle off the north side of roadway, occupied by one patient. They also advised heavy damage damage to the vehicle and minor extrication would be needed in order to remove the patient from the car. 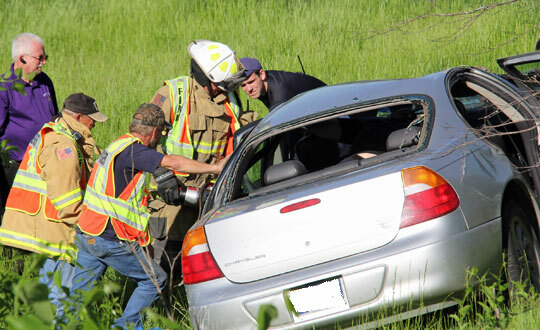 It took fire crews just 10 minutes to cut off the driver side door, allowing paramedics to access and treat the patient. 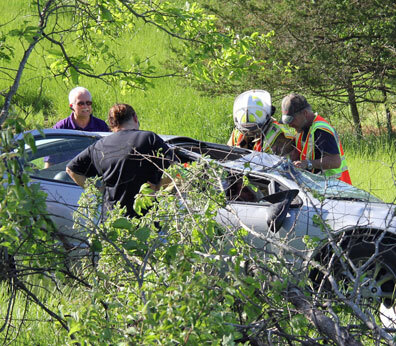 The MSHP said that Willimann was wearing her seatbelt at the time of the crash. Willimann was transported by Hermann EMS to Mercy Hospital in Washington, MO with moderate injuries.